Hi, everyone! I’m really excited to finally share the cover for Cave of Wonders, book 5 in the amazing Infinity Ring series from Scholastic! This story was a ton of fun to write, even though I had some rather large shoes to fill (namely those belonging to the giant feet of James Dashner, Carrie Ryan, and Lisa McMann, whose first three books in the series are out now, and you should all go read). Cave of Wonders takes Dak, Sera, and Riq to the Golden Age of Baghdad, on the eve of its destruction by Mongols. A truly compelling period in history that I wish more kids knew about. Hopefully, this book will change that for a few of them when it comes out later this year, on September 1st. As I have more details, I’ll post them, but for now, I hope you enjoy the cover! 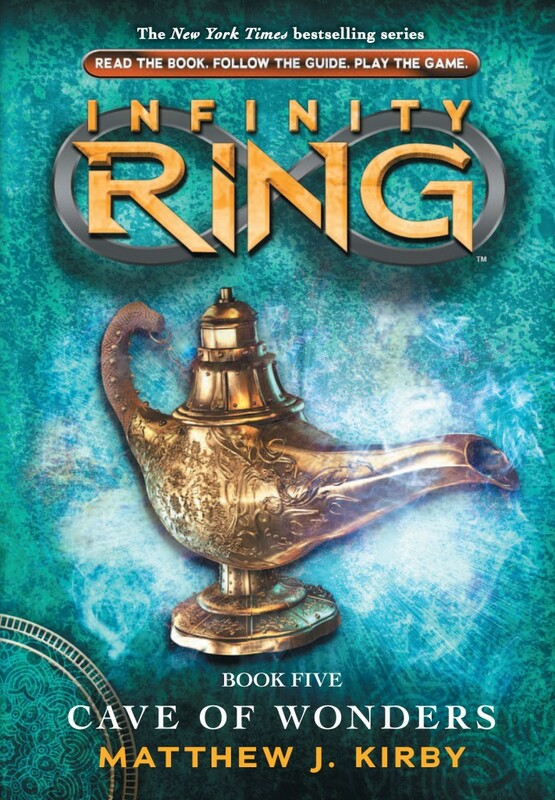 And be sure to visit the Infinity Ring website here! So excited to read! However, your #1 fan (aka my daughter) is just as excited. She loves the series so far. Thanks, Valynne. I hope she enjoys my installment!